Limbex is a natural dietary supplement formulated by Dr. David Brownstein to support healthy joints and connective tissue. This formula is a strategic blend of 11 hand-picked nutrients including glucosamine, chondroitin sulfate, turmeric root extract and a new, patent-pending, more bioavailable composition of boswellia extract called ApresFlex™. "Oh my aching ____________ . . ."
How would you fill in the blank to end the sentence above? Is it primarily your aching back . . . Your hands . . . Your knees . . . Your hip . . .
Or some other joint in your body . . . ? Well, you're not alone . . . Health statistics tell us that 21 million otherwise healthy American adults have some form of common but painful "wear and tear" joint concerns. But you don't have to work in the health field to appreciate how many people endure these nagging joint issues. Just Ask Anyone Over 40 or 50 . . . Since you have 230 moveable and semi-moveable joints in your body, by middle age you're apt to have something going on — whether it's creaky knees, stiff and painful fingers, or joint problems somewhere else in your body. And these problems make it hard to enjoy life. • Hard to climb stairs or reach for something in your cupboard . . .
• Hard to clean house or even, sometimes, to get out of a chair . . .
• Hard to open a jar . . .
• Hard to get out and walk around the neighborhood for a little exercise . . .
And sad to say, up until now there hasn't been much help out there for your painful joints. Most doctors will give you the old song and dance about how your pain is just an inevitable part of aging. They'll say it's a fact of life you can't really do anything about, and tell you to just go home and learn to "live with it." But luckily, one doctor doesn't follow this closed-minded approach. Fortunately, Dr. David Brownstein, a renowned holistic medical doctor from Bloomfield, Michigan, says this is total nonsense — you can do something to help alleviate common joint aches and pain and stiffness day after day. Dr. Brownstein insists that these concerns do NOT have to be a "normal" part of the aging process. Instead, now you can take steps to promote the health of your joints — and feel better than you've felt in decades. You see, Dr. Brownstein became frustrated by the sheer number of his patients suffering from these garden-variety joint concerns.
. . . So frustrated that he began to look outside the blinders of mainstream medicine for new approaches to help those patients improve the comfort of their joints. First, you need to determine whether you could benefit from taking part in the 30-day Challenge. Let's see where you fit . . . Here are some signs and symptoms of common joint "wear and tear" — which ones do you have? If you suffer from any of the above signs or symptoms, I'd urge you to pay very close attention to this presentation — because odds are good your joint concerns could truly benefit from this valuable information. It's important to understand what happens to your joints that can lead to those symptoms you just checked off. If I had to boil common joint concerns down to one word, that word would be . . .
Cartilage is a tough yet flexible body tissue that cushions the ends of your bones where two bones meet at a joint. You can consider cartilage your body's "shock absorber". With decades of "wear and tear" — or with big or even small injury or damage — the process of inflammation causes certain chemical substances within the joint to irritate and erode the cartilage cushions, and also leads to pain and perhaps some swelling or other symptoms. Discovering how to reduce inflammation is crucial to soothing your joint aches and pains. You'll hear about some simple solutions for inflammation later in this presentation. This cartilage "wear and tear" may occur in any joint of your body, but is most common in your knees, spine, hands, and hips. It seems surprising, but your cartilage is made up of 65-80% water. So you can easily see that keeping your joints hydrated is essential — and conversely, losing this fluid from your joints could be very damaging to them. Your cartilage is also composed of chondrocytes, the microscopic cells that produce new cartilage, and collagen, a fibrous protein substance that makes up the "building blocks" of connective tissues in your body, including cartilage, tendons, bone, and skin. Remember how Dr. Brownstein became frustrated earlier in his medical practice with the sheer number of patients suffering from joint concerns? This led him to research all the possible solutions he could find to help relieve this type of suffering. Dr. Brownstein noted that many of his patients were taking random handfuls of supplements for joint pain. Some patients were using what he felt were ineffective, unproven "nutrients" or "formulas" that were likely just a big waste of money for these folks. Others were taking glucosamine or chondroitin, which do demonstrate significant benefits for joint concerns, but can be expensive. Dr. Brownstein often found his patients taking multiple nutrients and vitamins for their joints that cost them as much as $200 each and every month! That didn't sit well with him, so he decided to develop his own joint health formula, an all-in-one product at a reasonable price point that just about anybody with joint pain could afford. Well, after extensive research, he was successful! And now you can benefit from this formula . . .
All carefully chosen by Dr. Brownstein to specifically target multiple joint concerns simultaneously. First we have . . . The "flagship" ingredient in Limbex™ puts a new twist on an old healing secret — a 2,000-year-old secret, in fact. Well, it turns out frankincense is actually Boswellia serrata, an herb used for thousands of years to soothe achy joints. And today, boswellia is still commonly used to promote healthy joints. But Dr. Brownstein has taken it a big step further . . . He was excited to find that researchers have now developed a new form of boswellia — with superior benefits to the already clinically-proven traditional boswellia herb extract. And this next generation boswellia extract — called ApresFlex™ — has been shown to start relieving joint inflammation in as little as 5 days! This new proprietary extract also inhibits the pro-inflammatory 5-LOX enzyme, too. Plus, ApresFlex™ helps support collagen formation, which is important for your healthy connective tissues. 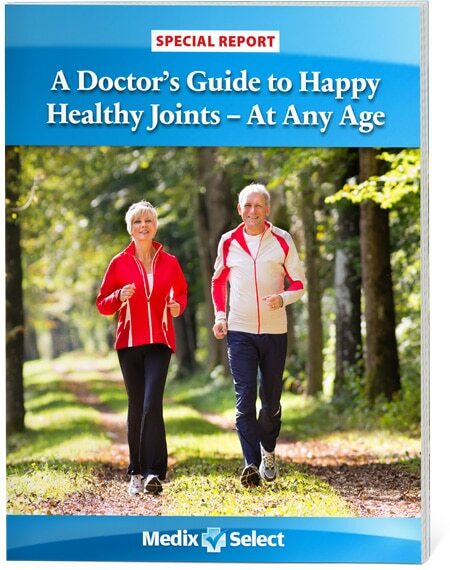 Of course Dr. Brownstein didn't leave out the joint health superstars — the "power twins" glucosamine and chondroitin. Research backs up the twins' ability to support your healthy cartilage and joint function. Glucosamine is a natural micro-component of healthy cartilage. Unfortunately, with aging, your ability to produce enough of this vital compound diminishes. Plays an essential role in keeping your joints lubricated . . . Potent anti-inflammatory effects . . . Stimulates the formation of chondrocytes or new cartilage cells . . .
A key support factor for joint function and repair . . .
You'll get 1500 milligrams of glucosamine hydrochloride in your daily dose of Limbex™. Helps support cartilage health . . . Provides the building blocks for your body to form new cartilage . . . Helps bring fluid to the joint, which supports normal joint fluid balance and joint mobility . . .
And you'll find a full 100 mg of chondroitin sulfate in Limbex™. One thing you should know, however. While ApresFlex™ boswellia extract can act quickly — in as little as 5 days — the same is not true for glucosamine and chondroitin. It may take up to 8 weeks or longer before determining improvement with glucosamine and chondroitin, so bear this in mind. But don't worry, with 11 joint-soothing ingredients in Limbex™, Dr. Brownstein confidently expects you'll start feeling much better during your 30-day "Healthy Joint Challenge." And another thing I should point out — if you decide to continue with Limbex™, you don't have to spend ridiculous amounts of your hard-earned cash on separate nutrients, as many of Dr. Brownstein's patients were doing. With 11 ingredients in one capsule, you'll find it convenient and affordable to support your hard-working joints. Plus, a recent study by ConsumerLab.com found that nearly 50% of the glucosamine/chondroitin supplements tested did not contain the labeled amount of ingredients. Make sure you use supplements from a reputable company that ensures they're manufactured under stringent quality controls. That's why Dr. Brownstein chose Medix Select. Now back to the key players in Limbex™ . . .
Limbex™ also contains another pair of joint health superstars — bromelain and turmeric. Bromelain, derived from the juice and stems of the pineapple plant, is actually a mixture of enzymes that digest protein. Bromelain can really be a key player with regard to joint and inflammation concerns. Dr. Brownstein believes that it works, at least in part, by breaking down fibrin. Fibrin is a protein substance deposited around the site of tissue damage. While some fibrin is essential for wound healing, an excess amount can reduce blood flow and prevent your injured tissues from healing. Turmeric is a bright yellow herb and spice that gives Indian curry its flavor and yellow color. It is also used in American mustard. When it comes to healing, turmeric (and its active component curcumin) have been used for thousands of years, both in Chinese medicine and Indian Ayurvedic healing. Accumulating evidence indicates that turmeric reduces inflammation of the soft tissues around joints. Its curcumin inhibits several enzymes that trigger the inflammatory process, thereby offering benefits for pain, swelling, and stiffness. Curcumin is also a very powerful antioxidant, one of many you'll find in Limbex™. Using bromelain and turmeric together can enhance the anti-inflammatory action of both substances, so Dr. Brownstein made sure to include both nutrients in his Limbex™ formula — 100 mg of bromelain and 100 mg of turmeric! Limbex™ also contains 1 mg of piperine per serving. You've probably never heard of piperine, but it's the active component of black pepper (and also the cause of black pepper's spiciness). Besides being an antioxidant, piperine may help to suppress inflammation. Piperine also may help increase absorption of the curcumin in turmeric. 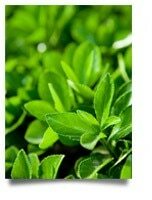 The 50 mg of green tea leaf extract in Limbex™ contains the naturally-occurring compound EGCG (epigallocatechin gallate). EGCG is a powerful antioxidant, just like many other antioxidants you'll find in Limbex™. So why do you need antioxidant support for your joint concerns? 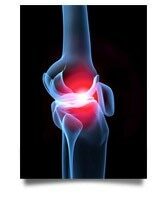 Well, clinical researchers have discovered that damaged cartilage cells or chondrocytes release free radicals, which can promote further joint damage and destruction. Antioxidants help clean up these free radicals and are considered "chondroprotective" or cartilage protectors. EGCG also helps block production of pro-inflammatory compounds such as prostaglandin E2, which can lead to further inflammation. I'm sure you're aware how important Vitamin C is to your overall health. However, when it comes to your joint health, Vitamin C or ascorbic acid may help generate collagen, a major component of joints. This can enhance your ability to repair cartilage damage. Plus, Vitamin C's powerful antioxidant properties help rid your body of destructive free radicals that are damaging to your joints. Like Vitamin C, the antioxidant Vitamin E also protects your body from the ravages of joint-damaging free radicals. Plus, Vitamin E demonstrates anti-inflammatory properties. Limbex™ contains 50mg of Vitamin C and 25 IU of Vitamin E per serving. 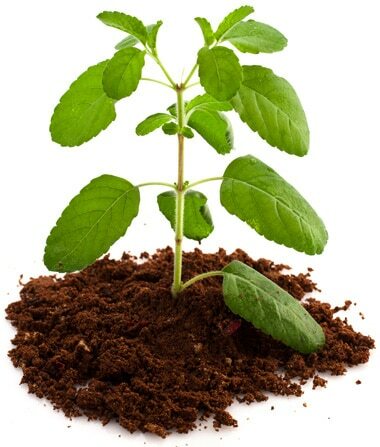 Holy basil, known as tulsi in Hindi, reigns as one of the most sacred herbs in the Ayurvedic healing tradition. In Ayurveda, it is considered an adaptogen, an herb that brings all body systems into balance. Known as the "Queen of Herbs," it's used to help promote the good health of many body systems. When it comes to your joints, natural chemicals contained in the leaves of the holy basil plant have been shown to inhibit the COX-1 and COX-2 enzymes which cause inflammation. Plus, holy basil contains numerous polyphenol antioxidants to combat those pesky free radicals and protect your cells from damage. That's why Dr. Brownstein added 35 mg of holy basil leaf extract to Limbex™. This formula's last ingredient is . . .
Research indicates that pomegranate fruit extract or PFE reduces the production of chemicals that cause the inflammatory process. 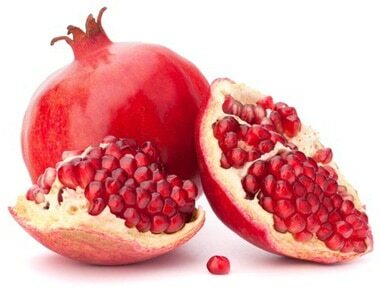 Additionally, a recent study out of the Case Western Reserve University School of Medicine and published in the Journal of Nutrition demonstrated for the first time the ability of pomegranate fruit extract to slow the deterioration of cartilage that leads to common joint concerns. It does this by blocking a pro-inflammatory protein molecule (interleukin-1b) that plays a key role in cartilage breakdown. In addition, PFE has been found to possess antioxidant properties that benefit your joints and overall health. Limbex™ contains 55 mg of PFE per serving. Well, I could go on in much more detail about the benefits of all 11 of the powerful, hand-picked ingredients in Limbex™, but I'm afraid this video would be several hours long! Dr. Brownstein is confident that Limbex™ can help minimize your joint concerns. How sure are we that Limbex™ will work for you? Limbex™ is guaranteed to work for you — or it's free! In fact, if you're not 100% satisfied with the relief you receive from any order of Limbex™ within the first 30 days, just return your unused portion. 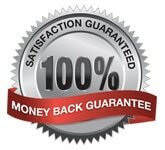 You'll get a full and immediate refund of your purchase price. No questions asked! You get results or it costs you nothing. The choice is yours. You can continue to feel joint aches, pains, and stiffness — or you can start to enjoy life more again with this safe and effective, doctor-developed joint health formula. You've nothing to lose — except those aches and pains. So don't miss out . . . Take the 30-day "Healthy Joint Challenge" and let us know how you did!. Glucosamine is a natural micro-component of healthy cartilage. Unfortunately, with aging, your ability to produce enough of this vital compound diminishes. Glucosamine has several important functions when it comes to your joints such as supporting joint function & repair and keeping joints lubricated. Glucosamine's twin, chondroitin sulfate, also a micro-component of cartilage, offers several awesome benefits to your cartilage and joints such as supporting cartilage health, building new joint cartilage and increasing joint mobility. Turmeric is a bright yellow herb and spice that gives Indian curry its flavor and yellow color. The health benefits of turmeric have been recognized in both Chinese medicine and Indian Ayurvedic healing for thousands of years. ApresFlex™, the next generation of boswellia extract, has been shown to start relieving joint inflammation in as little as 5 days! ApresFlex™ also helps support collagen formation, which is important for your healthy connective tissues. Bromelain, derived from the juice and stems of the pineapple plant, is actually a mixture of enzymes that digest protein. The benefits of bromelain includes being a key player with regard to joint and inflammation concerns. Research indicates that pomegranate health benefits include the reduction of the production of chemicals that cause the inflammatory process. In addition, PFE has been found to possess antioxidant properties that benefit your joints and overall health. Limbex™ contains 55 mg of PFE per serving. The 50 mg of green tea leaf extract in Limbex™ contains the naturally-occurring compound EGCG (epigallocatechin gallate). Green tea extract benefits includes the blocking of production of pro-inflammatory compounds such as prostaglandin E2, which can lead to further inflammation. Holy basil supplement, known as tulsi in Hindi, reigns as one of the most sacred herbs in the Ayurvedic healing tradition. In Ayurveda, it is considered an adaptogen, an herb that brings all body systems into balance. So What is Piperine Exactly? Limbex™ also contains 1 mg of piperine per serving. You've probably never heard of piperine, but it's the active component of black pepper (and also the cause of black pepper's spiciness). When it comes to your joint health, Vitamin C or ascorbic acid may help generate collagen, a major component of joints. This can enhance your ability to repair cartilage damage. Vitamin C's powerful antioxidant properties help rid your body of destructive free radicals that are damaging to your joints. Vitamin E protects your body from the ravages of joint-damaging free radicals. Plus, Vitamin E demonstrates anti-inflammatory properties. "I started taking Limbex recently. Now my joints have less pain and my mobility keeps improving. I can climb stairs and go down with both legs simultaneously. I pray that Limbex will truly help my cartilage to grow." "After two weeks I started Limbex the pain in my knees just disappeared!" "My joint pain is minimal since using Limbex. I had used several other products before and always felt like I was chasing pain relief and not always succeeding. Now there isn't much of a problem." "I've only been taking it for about a week but I do notice less pain in my shoulder, wrists and knee." What Are Some Natural Joint Pain Remedies?